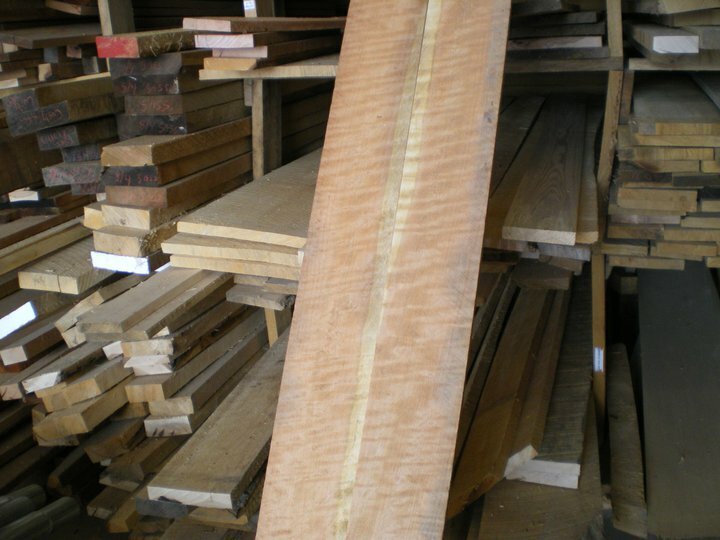 We offer a variety of services to get your rough lumber to finished form. If you don't have all the proper equipment it's time consuming and frustrating trying to get rough lumber dimensioned and ready to use. The good news is that we can help. Below are some of the services that we offer. If you have questions or need help give us a call. 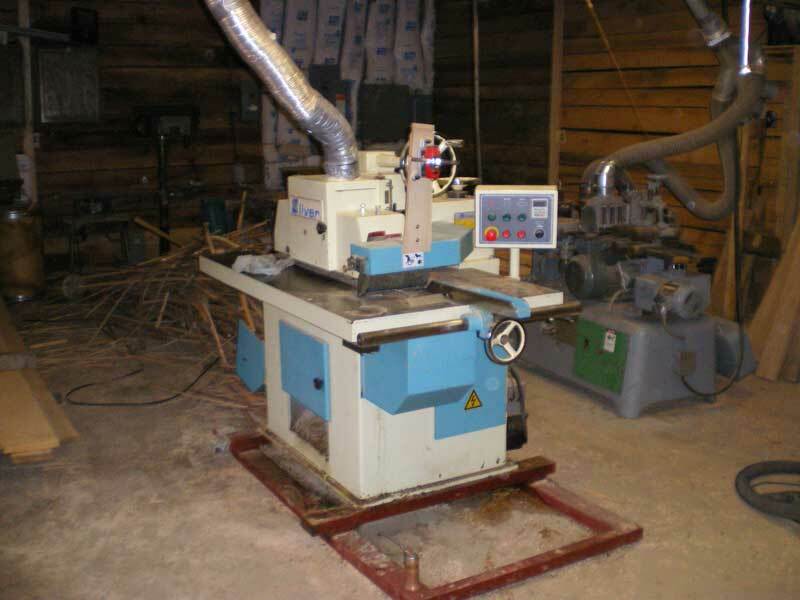 Our 24" helical head planer can surface 8"x 24" with little to no tear out even on tough woods such as Hard Maple. We charge $.25/bf or the shop rate of $55/hour depending upon what the job entails. 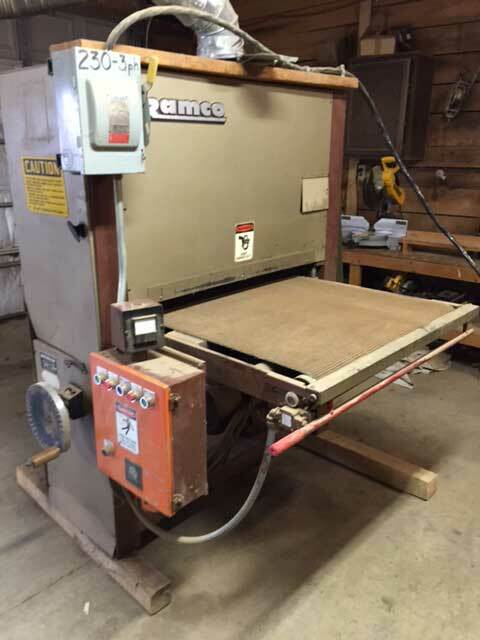 We can sand wide panels, table tops and slabs using a 36" wide belt sander and a 48" drum sander. Rate is $55/hour with a $25 minimum. 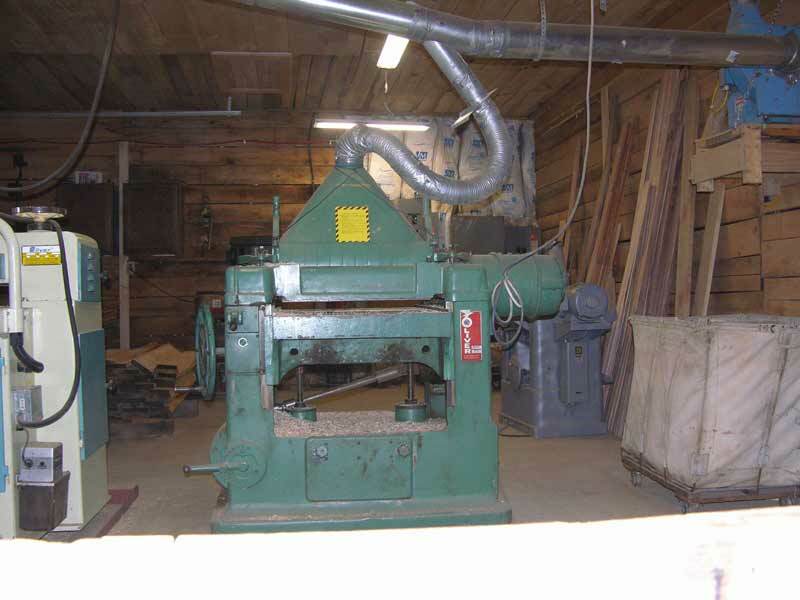 Many customers bring us logs that came from their own land and we sawmill, kiln-dry, then process the rough lumber into flooring. 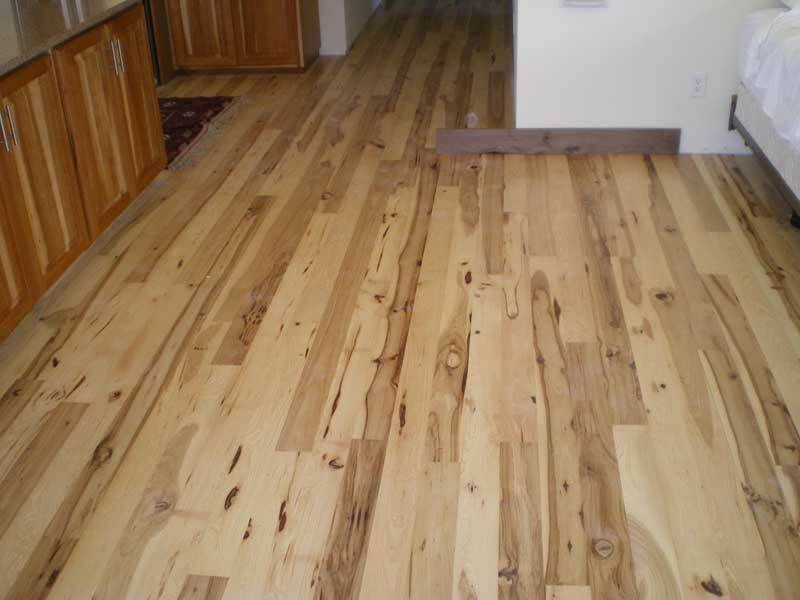 We also custom make flooring using our stock lumber from 2" to 6" wide and a full ¾" thick. 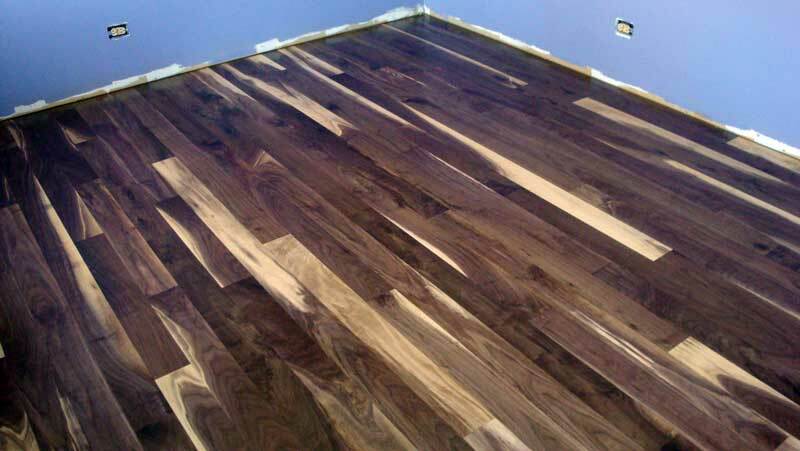 If you want a "rubber stamp" floor where all the wood looks the same then we are not for you, but if you are looking for that special heirloom floor that will draw everyones attention then give us a call. 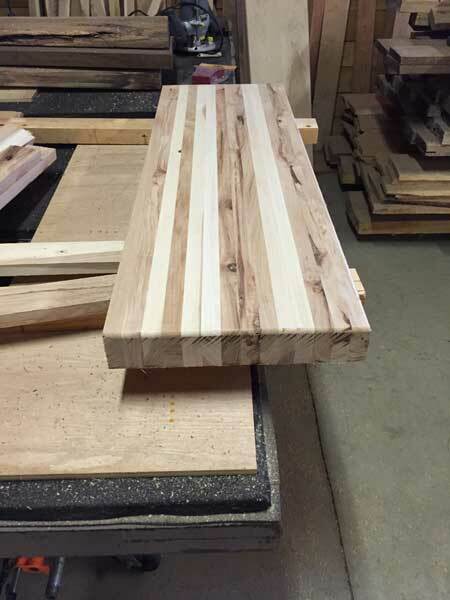 From 1.75" to 1", thick we can custom make your treads using unique and eye catching woods like Hickory, Heart Wood Maple, Red Elm and many others. 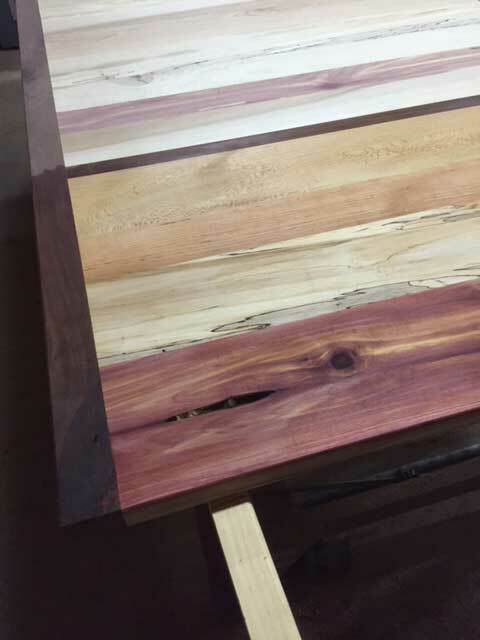 Whether you want a butcher block or plank style top, we can make it for you. 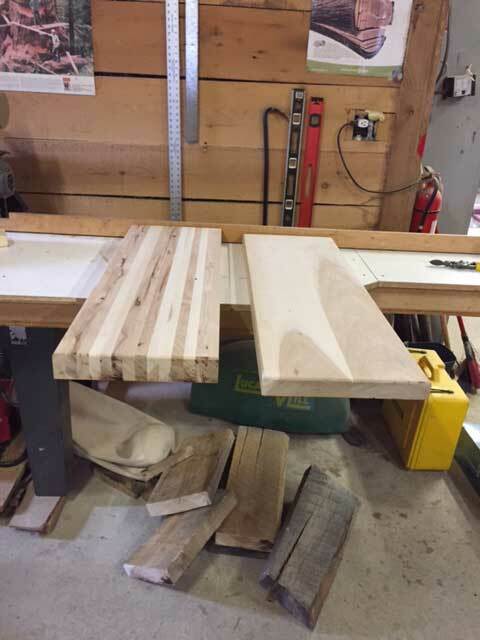 We make a lot of farm style table tops using one wood or multiple species. Butcher block (edge grain) tops for islands or counter tops work real well because the wood is very stable and the surface is more durable than with the normal surface grain of the wood. Nothing is mass produced here. All work is done with care by a craftsman. 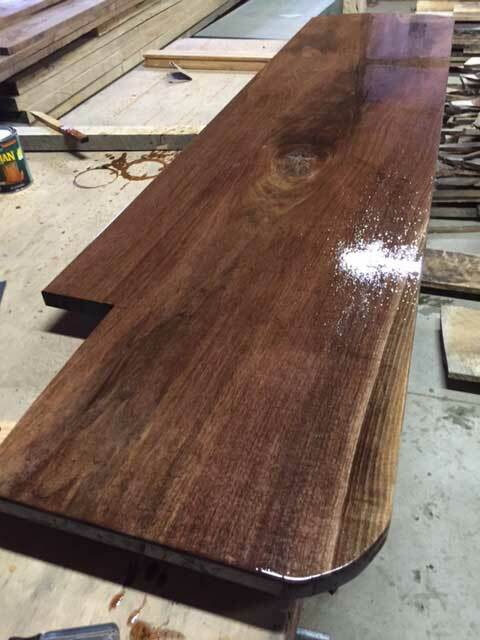 A few boards of awesome Curly Cherry. 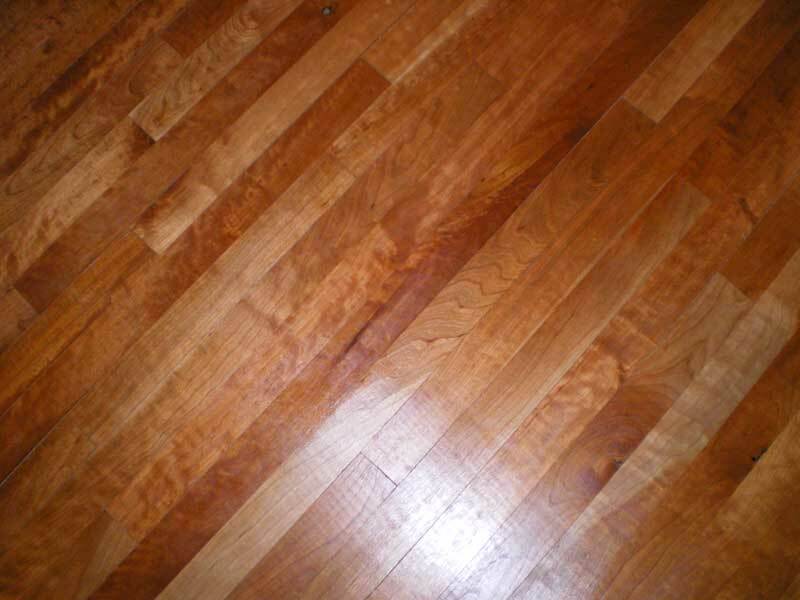 Picture of Character Hickory flooring that we made. I love all the character in this wood. 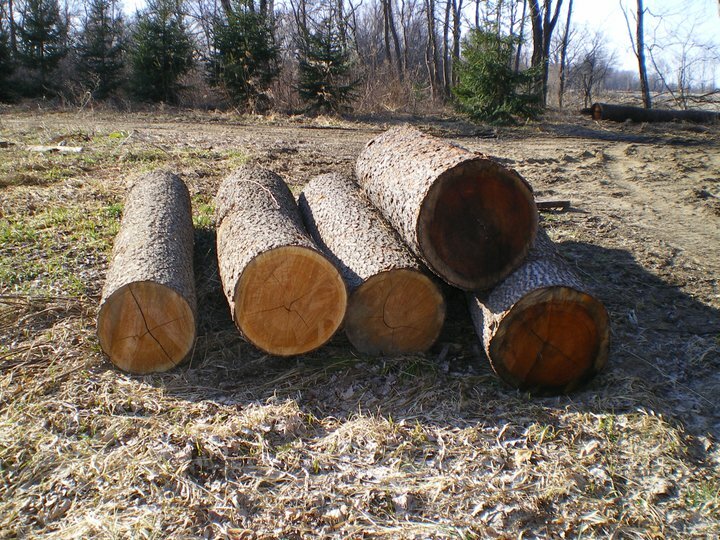 A stack of very nice Cherry logs waiting for the veneer buyer or possibly the sawmill.